By comparison to the Second World War, American railroads in World War I, and their contribution to that effort, have received minimal literary coverage. Perhaps that is partially due to the industry's nationalization under the United States Railroad Administration (USRA) in late 1917 when the government worried private operation could no longer meet traffic demands. Ironically, federal control managed only to move slightly more tonnage. Despite the USRA's heavy-handed measures, which severely strained track and equipment, it did oversee improvements in the area of standardization, particularly with locomotives and rolling stock. Prior to these efforts, railroads had only standardized when required such as track gauge, coupling (knuckle), and brakes (automatic air brake system). Interestingly, the first diesel locomotives were also tested at this time although did not see greater use (in switching assignments) until the mid-1920's. 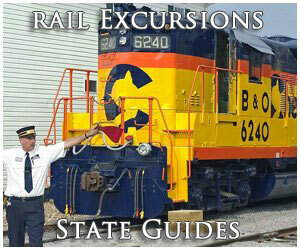 The information here provides a brief look at railroading during the World War I period. Despite 1916's record mileage, troubles were on the horizon. Railroads found themselves in an increasingly changing landscape after 1910; many laws had been passed which significantly expanded federal oversight and the impact of early automobiles was being felt. The latter first hit the interurban industry, which peaked between 1912-1918. Afterwards, these electrified rapid transit systems quickly declined and were all but obliterated by the Great Depression. With World War I's outbreak in mid-summer, 1914, railroads dealt with an increasing volume of traffic as supplies for U.S. allies flowed towards, and out of, eastern seaports. The industry was also dealing with other issues on the home front. No longer able to freely set freight rates, controlled through the Interstate Commerce Commission after 1906, railroads were coping with thinner profit margins as costs had soared by some 30% since 1900. In addition, operating expenses were outpacing general inflation. By 1914 several major carriers were struggling with financial difficulties: notably the Chicago, Rock Island & Pacific; St. Louis-San Francisco Railroad (Frisco); New York, New Haven & Hartford; and Wabash. A crucial strike involving the four primary brotherhoods (engineer, firemen, conductors, and trainmen) occurred in 1916, which sought to reduce the regular workday from ten hours to eight. It was not settled until March 19, 1917 at the U.S. Supreme Court, which sided with the unions. On April 6, 1917 the United States formally entered World War I. In an attempt to prioritize freight shipments deemed essential for the war effort, the federal government's move brought an unintended consequence. 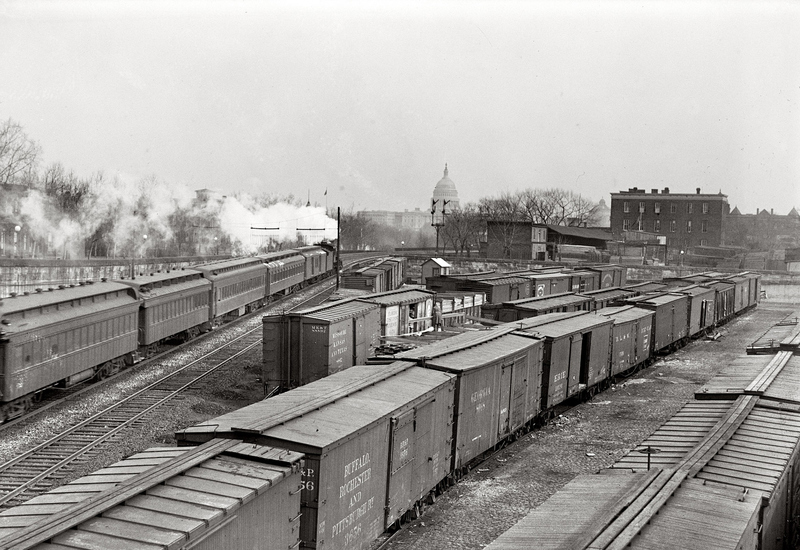 Since most traffic moved from west to east, eastern terminals and yards became severely congested, resulting in a major shortage of some 158,000 freight cars by November of 1917. The unfolding calamity caused President Woodrow Wilson to take the unprecedented step of indirectly nationalizing the railroads through the United States Railroad Administration. The new USRA went into effect on December 28, 1917. The agency was led by William G. McAdoo, Secretary of the Treasury, who also had experience with railroads. As Jim Boyd points out in his book, "The American Freight Train," the move technically did not nationalize the industry although it did provide the USRA broad powers. 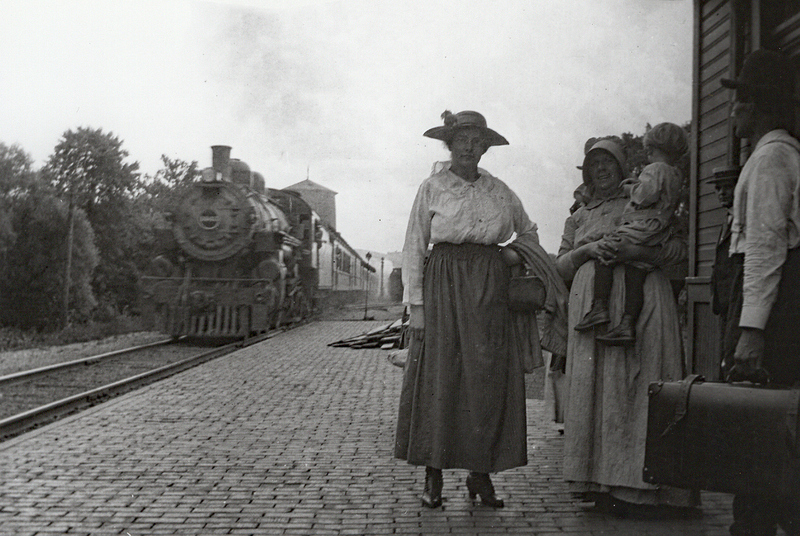 Instead, each railroad was rented and provided fair compensation for its cooperation. As historian John Stover notes in his book, "The Routledge Historical Atlas Of The American Railroads," they were paid via "the average of the net operating income for the three years between June 30, 1914, and June 10, 1917." It was a tough pill for many owners to swallow considering those particular years had been especially difficult. Essentially, competition was removed and the entire 254,000+ network operated as a single entity. Managers were fearful the move would result in permanent federal control. The industry had asked for a rate increase prior to federal takeover, which was denied by the ICC. Ironically, as costs began outpacing profits, McAdoo found himself in a difficult position and was forced to raise freight rates by 25% in the South and West as well as 40% in the East. In addition, as Dr.'s George W. Hilton and John F. Due point out in their book, "The Electric Interurban Railways In America," he authorized a 3 cent/mile rate increase for basic coach fares. Interestingly, the interurban industry predominantly avoided nationalization, largely due to the minor volume of freight it handled. However, there were exceptions, such as the Fort Dodge, Des Moines & Southern, which moved considerable tonnage. The industry would later establish its own committee during the war. Known as the Electric Railway War Board, it was formed in 1917 to aid in the war effort. Unfortunately, since few interurbans handled either significant freight or troops, its purpose was largely moot. From a historical standpoint, the USRA has been heavily criticized for its stringent measures whereby profits and general maintenance were ignored in an effort to keep the train rolling. By war's end many railroads were completely worn out. Despite its issues, the agency set forth many standardized practices which forever benefited the industry, particularly when the Second World War broke out nearly twenty years later. McAdoo immediately realized the national locomotive and car fleet could not meet needed demand. To remedy this, as well as streamline both the manufacturing and maintenance processes (and reduce costs), the USRA put together a mechanical committee featuring the industry's very best engineers. They were tasked with standardizing locomotives and rolling stock which could be mass produced and operate on any railroad. The former came in a variety of arrangements (listed below) with main line power built as either "light" (axle loadings of 54,000 pounds) or "heavy" (axle loadings of 60,000 pounds) variants depending upon track conditions and intended usage. 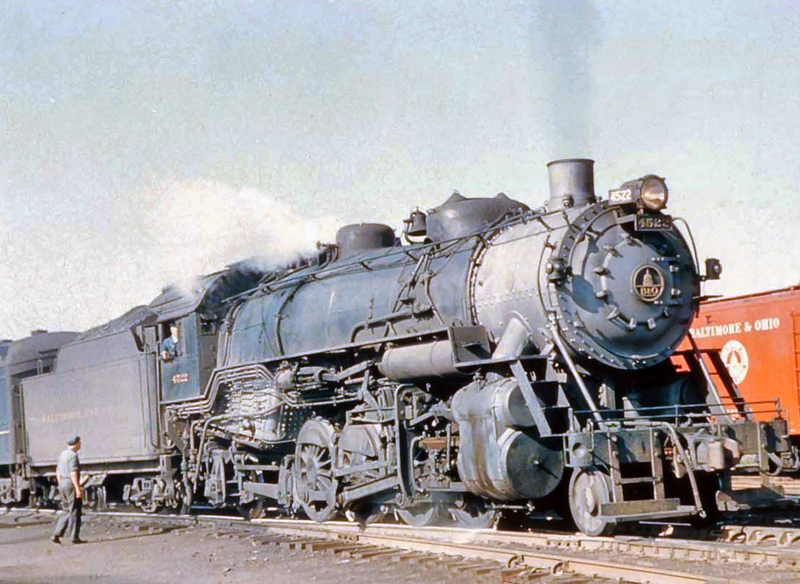 As can be seen, the 2-8-2 'Mikados,' utilized in everyday freight service, were the most popular. There were also numerous switchers built. In all, including requisitioned 2-10-0's from Russia, more than 2,000 locomotives with USRA specifications were placed into service. Not included on this list are over 200, 2-10-0 "Decapods" built by American locomotive manufacturers for Russia. There were a total of 1,200 built but following the Bolshevik revolution of 1917, not all had been delivered and remained on U.S. soil. As a result, they were retrofitted to USRA standards and placed into service. Many proved so popular the survived until the steam era's end. 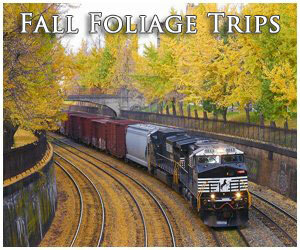 As Mr. Boyd notes, there were also more than 100,000 freight cars manufactured, most of which were boxcars. In his book, "Freight Train Cars," author Mike Schafer points out these were largely composite in design, carrying both steel and wood (the superstructure, particularly the under-frame and latticework, was steel while wood was used in general carbody). As John H. White, Jr. highlights in his book, "The American Railroad Freight Car," steel witnessed increasing use during the early 20th century. In 1905, just 8.6% of the nation's total car fleet featured some type of metal-work. This number had jumped to 51.8% by 1915 and 65.2% by 1920. Interestingly, the USRA even designed a standard caboose, the so-called "Northeastern" variant, although it was never built. Interestingly, the Reading picked up the design and produced an all-steel version in 1924. Several other carriers also went on to use this caboose, including the Western Maryland, Central Railroad of New Jersey, and Lehigh Valley. Many managers probably felt the industry would never been returned to private ownership but those concerns were alleviated when the Railway Administration Act became law on March 21, 1918. It specified that all lines would be relinquished by the government within 21 months of a peace treaty. That held true after World War I ended on November 11, 1918. On March 1, 1920 when the USRA's authority ended.